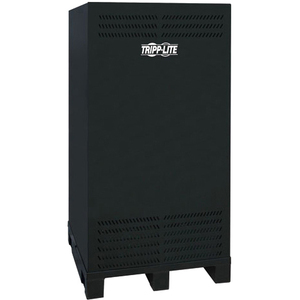 Tripp Lite's BP240V787C-1PH External Battery Pack with built-in 7A charger offers extended battery runtime when used in conjunction with compatible Tripp Lite UPS systems. Includes heavy gauge cabling to connect to host UPS. Multiple BP240V787C-1PH batteries can be daisy-chained for longer runtime configurations with appropriate contractor-supplied battery pack interconnection cabling (see manual). Internal battery charger is powered via hardwire connection to 120V 30A electrical service.